It's party time. Spending quality time with friends and family is what life's all about. Whether you're the type that hosts the big game, a holiday meal, movie night, or just a casual dinner, you need to have the perfect living room seating to make sure all of your guests are happy and comfortable. This decision is important because these are the moments you'll remember. 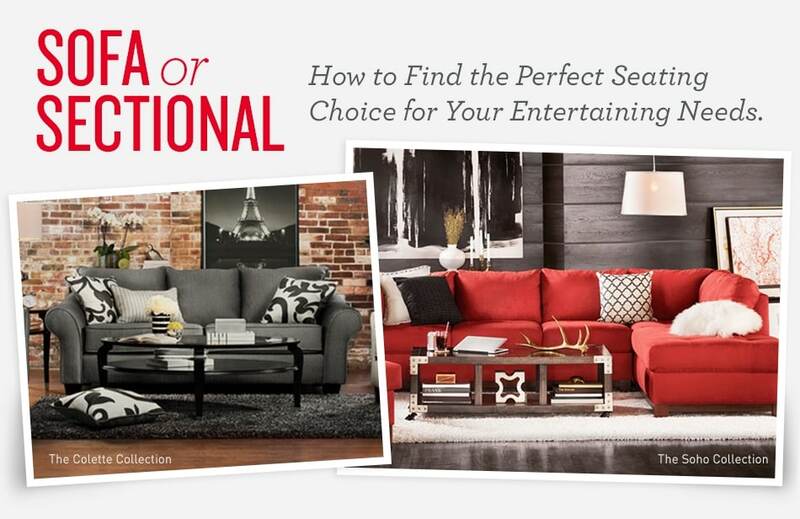 We'll help you decide if your event calls for a sofa or a sectional. Sectional. You want to emulate the stadium-feel by having everyone sitting in one location, cheering the team on together. Because sports fans like to jump out of their seats throughout the game, they don't want to be held back by a recliner. But you'll want your upholstery to be as stain-resistant as possible. (Seven-layer dip always manages to find its way onto the sofa.) Synthetic fabrics, like microfiber, are the best upholstery choice for a stain-prone occasion. It's soft, stylish, and super easy to clean. Sofa. If your house is packed with friends, family or both, a sofa can allow space for socializing but a place to lounge after the meal. To give your guests room to spread out, lie down, and possibly slip into a deep food-induced slumber, consider both the size and number of couches. For a large crowd, two sofas with a mix of cushion sizes can provide enough space. For the extended family, a three-cushion sofa should do the trick. If it's just the immediate family and Great Aunt Edna, a two-cushion sofa will work. Sectional. 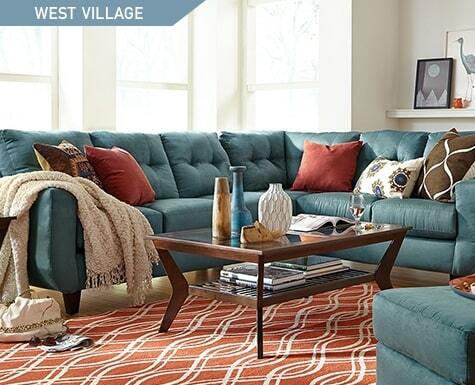 If you want your living room to feel like a theater, a sectional is the way to go. Look for a reclining sectional that's equipped with cup holders to give your guests the ultimate movie-watching experience. Consider chenille — a resilient fabric that has a soft, plush feel. 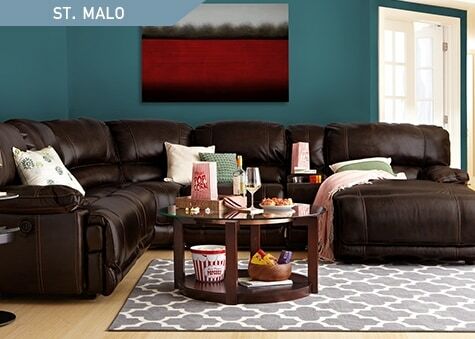 Break out the licorice, popcorn, and soda and sink into your sectional for the best movie night ever. Sofa. Dinner parties are perfect for chatting and catching up with old friends. People won't be looking for a sofa to curl up on, but they may be looking for a spot to reminisce. Sofas are good for fitting small groups of people and spreading the conversations out a little bit better. 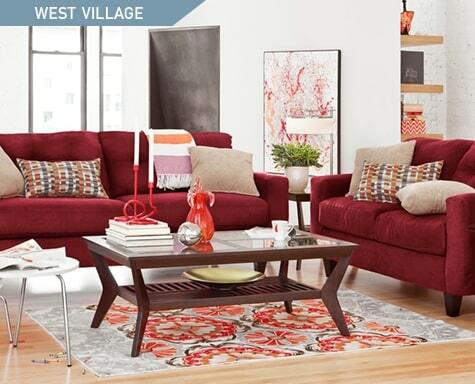 You may even consider getting a loveseat to pair with the sofa to stimulate more party chatter. 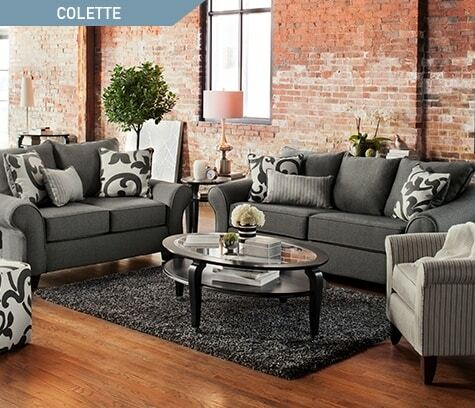 Today's polyester upholstery is soft and inviting, so it would be a fantastic choice for your sofa. No matter the occasion, we have a wide sofa and sectional selection to make your night just what you want it to be — perfect.